If this dog could talk, it would be saying, "I hate you." I think I’ve mentioned how much I like the book Watership Down. So much so, that I’m rereading the Richard Adams classic. For those of you who don’t know, Watership Down is a tale of a group of rabbits who leave their warren at the pleading of a little rabbit named Fiver. Fiver has a vision that their home will be destroyed. The book follows their many adventures on their journey to find a new home. Obviously, Adams anthropomorphizes the rabbits–that is–he gives them certain human characteristics like the ability to talk, otherwise it would be a pretty lame book. But I knew going in that rabbits can’t actually talk because I’m smart like that. Besides, it’s a story of very real human struggles told effectively through the eyes of rabbits. It works. But here’s what doesn’t work for me. People who think their pets are their children and the advertisers and pet industry executives who take advantage of their stupidity. I’ll skip the not-so-subtle message of this commercial which says your cat’s well being takes precedent over your significant other’s. But since when do cats give a crap about breakfast? Are you telling me that the creature who just laid a bloody lizard on your chest while you were napping on the couch has a preference for eggs in the morning? Breakfast food for cats? Seriously? Let’s ignore the fact that the woman is laughing while that big, filthy dog is shaking flour all over her kitchen and then chases him around the island in slow motion and get to the heart of the matter: Dog cookies. I don’t know about your dog, but mine has been known to eat cat feces right out of the litter box, and I never once recall him asking me to chop it up and bake it into a cookie before doing so. I’m not a pet hater. I’ve had pets my entire life. I know they provide unconditional love (well, dogs anyway) and companionship. 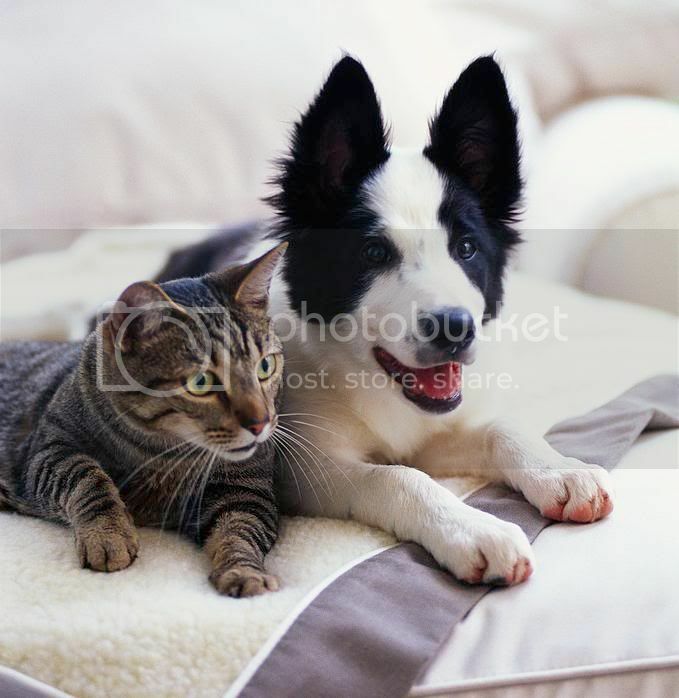 Our cat Rudy and our dog Buddy Love are both a part of the family. But they’re animals, not people. And I would agree with that to a certain extent, but when you begin to give the lives of animals precedent over the lives of fellow human beings, the world’s been turned upside down. Abby Barnes (Janeane Garofalo) is a veterinarian, who hosts a Los Angeles radio show called “The Truth About Cats and Dogs.” The use of this as the title of the film also suggests the combative nature of male-female romantic relationships. Abby strikes up an unexpected friendship with her neighbor Noelle Sluslarsky (Uma Thurman), a traditionally attractive model who is sweet, but not very sharp. When Abby makes a blind date with a caller to her show (Ben Chaplin), her insecurity with her own appearance leads her to convince Noelle to pretend to be Abby when meeting the date. Unfortunately, both women develop feelings for the man, leading to a comedic series of misunderstandings, as the unintended consequences of their deception grow deeper. I agree with what the character Abby says at the beginning of that clip: “You can love your pets, just don’t love your pets.” And no, I’m not talking about a 3 hour tongue bath from your cat, even though I’m pretty sure that would be considered inappropriate under any circumstances. What I mean is that most pets, and dogs in particular, are easy to love because for the most part they love us unconditionally and without judgement. They lavish us with affection and loyalty and ask very little in return. My dog Buddy Love is a great companion. I don’t recall a single blog post typed from my computer when he wasn’t either sitting in my lap or snuggled up next to me. I do love that dog, but that kind of love and companionship is not the same as loving people. People are hard to love. And there’s no such thing as unconditional love when it comes to human beings. We may come close on rare occasions, but our selfish natures prevent us from that kind of love. And while there are days I might wholeheartedly agree with that statement, I simply can’t give up on loving people. Because the One who really does love me unconditionally commands me to love Him and love people. And He never mentioned the dog.